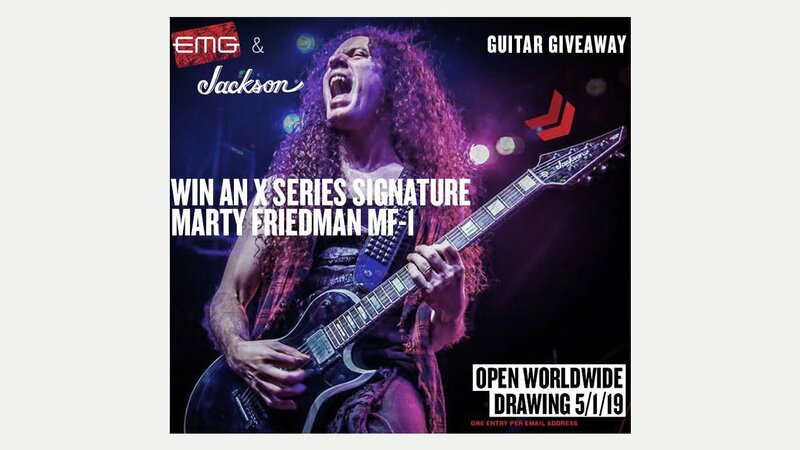 EMG are giving away a Jackson X Series Marty Friedman Signature MF-1 in their latest competition. Some of its fine features include a mahogany body with 3/4″ maple top, one-piece mahogany set-neck with graphite reinforcement and scarf joint, bound 12” radius rosewood fingerboard with 22 jumbo frets and pearloid block inlays. Available in Gloss Black with White Bevels, the MF-1 features all-black hardware and a reverse Jackson 3×3 (3 over, 3 under) AT-1 headstock.